Case Study 1: Florentine Torch Door - Exterior Door Example Before. 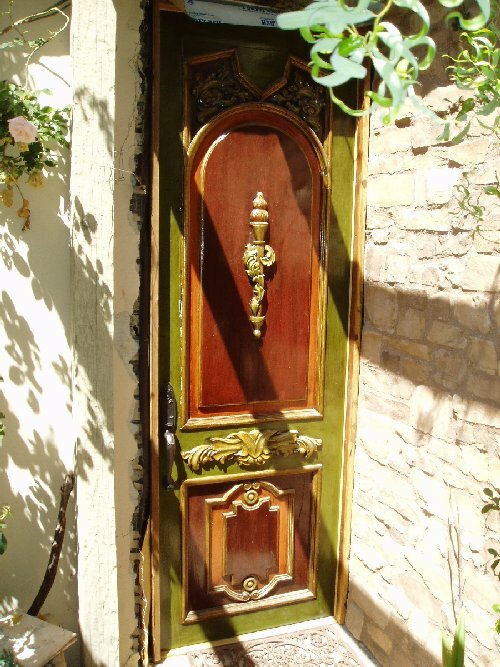 This door was inspired from the Renaissance period and features Florentine scrolls and a Roman arch. The finished piece was reproduced to custom measurements and hand painted. The door is 9' tall and 3" thick.